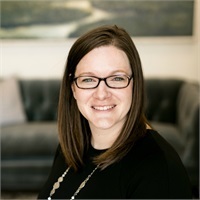 As the Chief Compliance Officer at PYA Waltman, Jessica works with all aspects of the firm to maintain policies designed to comply with federal and state securities law. She successfully completed the Investment Adviser Certified Compliance Professional (IACCP) program and is a member of the National Society of Compliance Professionals. Originally from Knoxville, Jessica enjoys spending time with her husband, Tyler, and their two children searching for little known spots in the Great Smoky Mountains or taking in a movie on opening night.